Locked your keys in your car? It happens to the best of us but that doesn’t make it any less frustrating. Locking your keys in your car can be a real hassle. Having the keys locked in your car means having no access to the car or its contents. This is a situation that requires immediate attention. With A1 Locksmith Toronto, you can have that problem dealt with in record time! 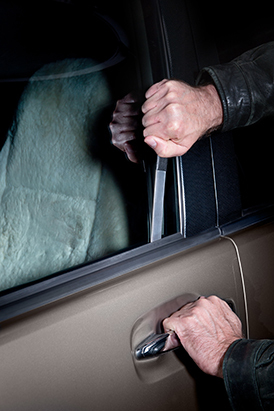 We make it easy and simple because we know what to do when you lock your keys in the car. We’re the best locksmith services in Canada. Our experts take the ‘in’ out of inconvenience and make it easy for you to have your lock and key problem dealt with right away. What is the best part about our services? We’re available for your assistance 24/7 in Toronto, Ontario and surrounding area. We’re well aware that these types of situations can arise at any moment so we ensure that we’re always available when you need it the most. Therefore, if you face any sort of difficulty like locking yourself out of your car, you can give us a call and have our expert technicians immediately deal with the situation. So it doesn’t matter what time of day it may be, as we’ll be there to help you out whenever you need us. Give us a call right now at 647-557-6403!